A drafty home is never pleasant—especially in the dead of a cold, harsh winter, when passing by one of your windows means feeling chills for the rest of the night. Old homes are especially prone to inefficient windows that are old and leftover from the days they were newly built and top-of-the-line. As times changed and new technology and manufacturing began to develop windows that are now superior in energy efficiency and draft protection, these old windows are now the problem of many homeowners. 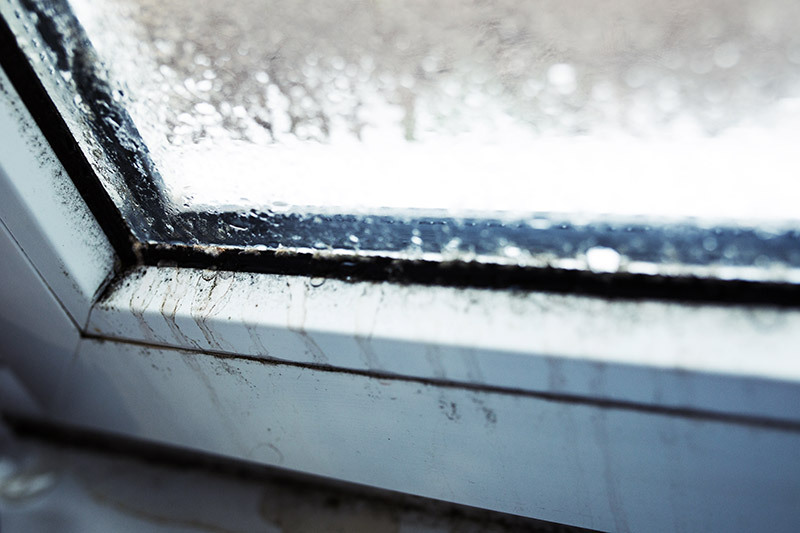 Even in hotter climates like the western states of the U.S. feel the punishment of a drafty window, and it’s almost like there is nothing there at all to keep the precious air condition from leaking outside. Window plastic can offer desperate homeowners a means to create a cost-effective seal over old, failing windows in order to prevent energy from being expelled through them. While the price of window plastic in comparison to new windows can appear attractive, especially for homeowners trying to save money on other household investments, they are beginning to discover that window plastic is more trouble than its worth. Window plastic, as its name suggests, is a plastic wrap that shrinks to create a seal and protective barrier over your windows to keep the energy inside your home. Window plastic is cheap, which is why so many homeowners try to use this method to have a more energy efficient house, but avoid paying hundreds of dollars on replacement windows. A window plastic kit provides a sheet of plastic that requires the consumer to measure and cut to their desired length to fit their windows. Tape is provided in most window plastic kits and instructions indicate placing the tape around the window’s frame. The window plastic is then pressed against the tape around frame of the window, covering it completely. 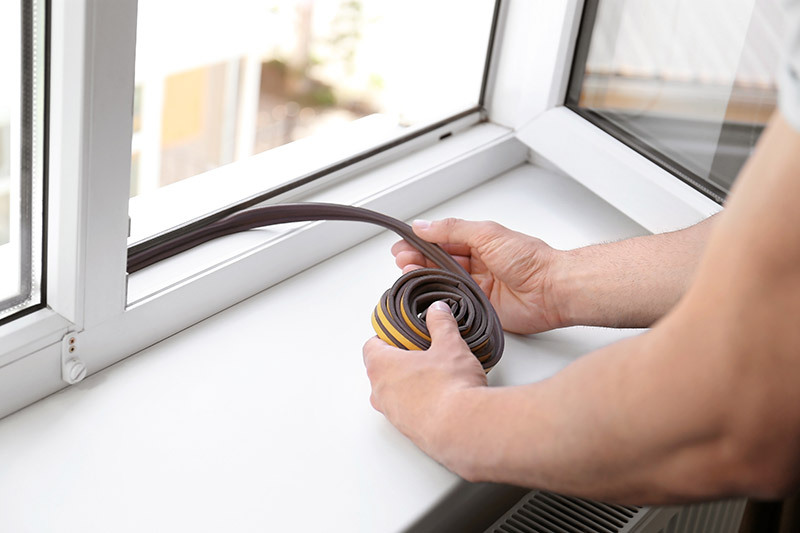 In the final step of a window plastic kit, consumers are required to apply heat to shrink the plastic to a tight, concealed fit. Many kits recommend using a hair dryer for an easy application. The idea behind window plastic is not a bizarre way of jazzing up your windows, but rather a way to keep drafts and cold air from wafting through your home. Many homeowners use window plastic during the colder months if their windows fail at keeping the heat in and the cold air out. Window plastic essentially shrink-wraps your faulty windows as a temporary solution to a constant problem. A window plastic kit distracts from the underlying problem that your windows are not energy efficient. If you find yourself running out to the store to buy a window plastic kit for your home, you might be in denial about the state of your windows. Truth be told, replacement windows are the better investment to make. Energy efficient windows will have Energy Star labels displayed on them as well as a certification label from the National Fenestration Rating Council (NFRC). Energy Star is a program attributed to the United States Government as a means to promote energy efficient windows, doors, skylights, and building components. The non-profit group NFRC created certain indications and criteria displayed on the labels. NFRC works to inform consumers about energy efficient products in collaboration with the Energy Star program. With energy efficient replacement windows in your home, you could be looking at saving up to $126-$465 a year for single-pane windows, and $27-$111 a year for double-pane windows. If you think about replacing your windows instead of cutting, measuring, and applying plastic wrap to your old, drafty windows, the cost of the initial purchase and installation is nothing compared to the tediousness of window plastic kits. The costs will end up paying for itself in the long run, and soon enough, you will see a return on your investment on your monthly energy bills. Your geographical location will contribute to the cost of your replacement windows, the amount of energy you will save with newer, efficient windows, and the cost of the installation. Because energy efficient windows are essentially an industry standard nowadays, the cost isn’t as high as you would expect it to be. Think about it—you are using a hairdryer to shrink-wrap plastic on your windows in an attempt to conserve energy, of course this is not a long-term solution! Window plastic kits are applied around the window using a thin layer of adhesive. The taping that holds the window plastic around the frame may last you the duration of the winter season, but not much longer than that. Once exposed to moisture or dry air, the tape is bound to lose its adhesive properties over time. Window plastic relies on a thin layer of plastic to protect your home against drafts and energy loss. Plastic is not a durable material, as you are most assuredly aware, and you can expect rips and tears to occur. A window encased with this plastic with tears does not serve its intended purpose of conserving energy. Plastic suctioned to keep the energy inside of your home isn’t exactly deemed an attractive interior decorating style. Your guests, family, and friends are going to notice something is amiss, and it won’t be the fact that there is slightly less of a draft moving through your home. With all of your windows wrapped in plastic, it’s going to stand out, and even drapery can’t hide everything. In its application, window plastic requires the installer to cut and measure it perfectly for it to look halfway decent and somewhat uniform. Accidental cuts and incorrect measurements will look haphazard and hokey. Perfectionism and near-mechanical movements are required to delicately apply the window plastic against the adhesive without it being crinkled and sticking together. You take pride in your home, and your house deserves to be energy efficient and see a few upgrades now and then. Energy efficient replacement windows will make your home look uniform, newer, and astoundingly more attractive in comparison to window plastic. Conclusively, window plastic does not hold up to the energy efficiency of a replacement, Energy Star Certified window. Plastic wrap cannot save nearly as much energy in comparison to a solidly built and manufactured window, and you don’t have to be a home improvement expert to know that’s the case. As a homeowner, you know that with a window plastic kit, you are simply masking the underlying problem—the fact that you need replacement windows. Energy efficient windows are a manufacturing standard and can give you a return on your investment immediately following their installation. Many manufactures and window installers offer special pricing and deals, so replacing your entire home with new, updated, and Energy Star windows isn’t as expensive as you might believe. This winter, skip the shrink-wrap and instead look into a serious upgrade for your home. If the energy efficiency isn’t enough to sell you on this idea, think about how you are adding to the curb appeal and resale value of your home—while the savings on your energy bills can be an additional perk. Make Feldco your choice for quality and professional window replacement. We’re the most trusted source for window replacement since 1976. Over 350,000 homeowners choice Feldco for their quality products and professional installation. Get a free quote and speak to a knowledgeable product specialist today!